Individuals who may be deprived of their liberty under the Mental Capacity Act (MCA) would not be informed of their rights until the deprivation has been authorised, under government changes to the bill to replace the Deprivation of Liberty Safeguards (DoLS) with the Liberty Protection Safeguards (LPS). The amendment to the Mental Capacity (Amendment) Bill, which passed narrowly last week by a committee of MPs scrutinising the bill, would see the cared for person, and any appropriate person or independent mental capacity advocate (IMCA) supporting them, given key information regarding the process and the person’s rights as soon as practicable after an authorisation were given. This includes the responsible body – the agency which authorises the deprivation of liberty, ensuring the cared-for person, and any IMCA or appropriate person -understand the effect of the authorisation, the circumstances under which an advocate would be appointed and their rights to request a review and to challenge any authorisation in court. 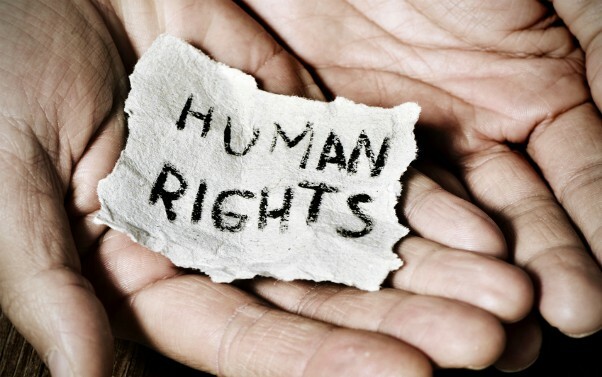 The government amendment overturned a change made by opposition politicians in the House of Lords to ensure that people were informed of their rights before the authorisation process. Keeley also criticised another element of the government amendment, which would be to remove a requirement on the responsible body to refer appropriate cases to court. Responding to the concerns of the opposition, care minister Caroline Dinenage explained the amendment would “provide clarity” on what was required of the responsible body during an authorisation and provide “a clear point” or legal trigger, at which the information should be shared with the person receiving the safeguards. She added that information could, and, in the vast majority of cases, should be shared much earlier, and that this would not be prevented by the government amendment. Dinenage said the code of practice explaining how the LPS should work would set out how information should be shared appropriately. She also pointed out that the amendment replicated the current situation under DoLS, under which “a managing authority” – the care home or hospital in which the person is deprived – must ensure the person understands their rights as soon as practicable after an authorisation is given. Opposition members questioned why the legal trigger point for information sharing had to be after rather than before an authorisation were given. In response, Dinenage said the government would look at the issue again. Amendments to increase the role given to approved mental capacity professionals (AMCPs), who would be practitioners with specialist training in the Mental Capacity Act, were also passed during last week’s committee stage debates. It was originally intended that AMCPs would only carry out a pre-authorisation review to determine whether the conditions for a deprivation of liberty authorisation under LPS had been met training – if it was reasonable to believe that the person was objecting to care arrangements. Otherwise, the pre-authorisation review would be conducted by a practitioner who would not be required to have had specialist training. However, peers and professionals expressed concerns that hospital staff and anyone involved in the running of the hospital would face a conflict of interest because they had an incentive to keep people as inpatients to retain their income. This would therefore compromise the rights of the patient as they may not be given an AMCP. In response, the government brought forward an amendment, passed during the committee stage, to require cases where the person were receiving care mainly in an independent hospital to be reviewed by an AMCP. Another government amendment passed by the committee enables the responsible body to refer any other case to an AMCP if the cared for person agrees to the referral. Dinenage went on to confirm that the statutory code of practice would be used to explain in detail how these powers should be exercised. The committee is due to hold further sessions today (22 January) and on Thursday (24 January), during which it will discuss the government’s proposed statutory definition of a deprivation of liberty. Sounds a bit like getting access to legal advice once you’ve been arrested, charged, tried and then convicted! Am I surprised by another denial of access to representation by the most vulnerable and least well off in society? Being under DoLS means that your mother has the right for her case to be heard by the Court of Protection. Ask for the contact details of the DoLS Team involved in issuing your mother’s authorisation, they will be able to talk you through the process of having her case speedily reviewed.